When it comes to car accessories for the interior, there are so many types to choose from! Most of them aren’t necessary for your vehicle to work, but they can be instrumental in making your driving experience feel more comfortable. Interior accessories for cars can range from simple air fresheners or floor mats to heavy-duty sun shades for your windshield any more. If you ever wonder what car interior accessories you should buy, you came to the right place! You can easily customize your vehicle with safety and comfort in mind with all the best car interior accessories below. 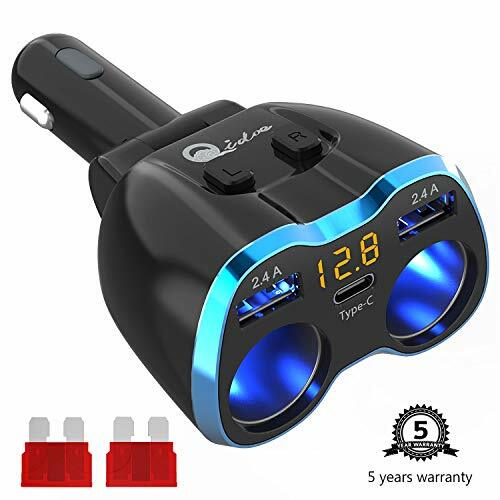 Also, if you want to know more about the car accessories and buying guides, head over to this article – Car Accessories. As mentioned above, there are many types of cool accessories for your car interior. They can come in many types like truck accessories, cargo accessories, car covers, car batteries and many more. Even aftermarket stereos can be considered as accessories. Now, car accessories aren’t just limited to interior car décor. They can also be exterior accessories or products like a car wash, wax, and oils. But that’s another thing entirely! 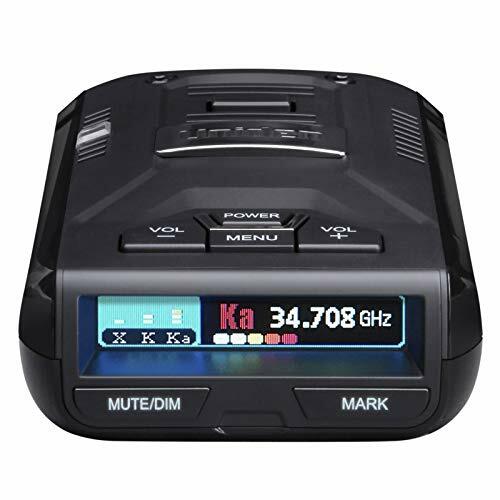 One of the most useful accessories to have in your car is a radar detector. It’s an electronic device that helps track if law enforcement is monitoring your speed using a radar gun. The Uniden R3 has long-range capabilities so that you can sense a radar gun long enough for you to reduce your speed and avoid getting a speeding ticket. It also has convenient GPS features as well as red camera alerts. It also features an undetectable Spectre Elite. A smart accessory to have in your car is a first aid kit. After all, you never know when you’ll need it for an emergency. The Protect Life kit has numerous, valuable medical-grade supplies all kept in a small and lightweight case. 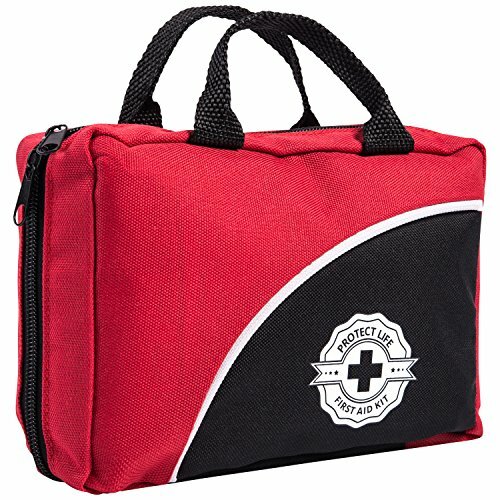 It has an instant ice pack, emergency blanket, CPR mask, bandaids, and many more basic first aid supplies for you to utilize whenever you need them. What’s better is that all supplies have a reasonably long shelf life and are easily replaceable so you don’t need to keep buying a whole kit every so often. 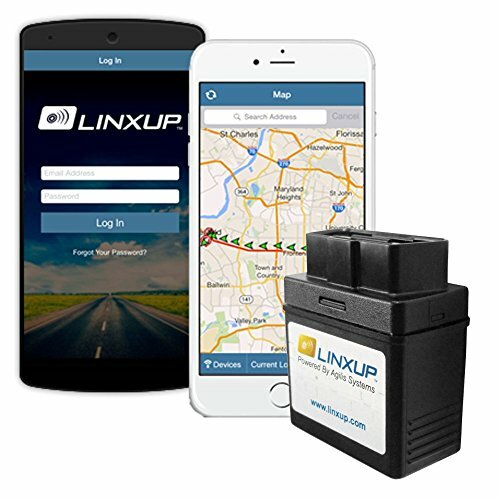 The Linxup OBD is worth your money and very practical if you’re in a business where you have a fleet of cars answering to you. With this device, you can review driving routes and instantly know the location of your fleet drivers. This device features GPS tracking which is 100% accurate using Google Maps, set geofences, and keep track of each vehicle in use. You can also use this device to get valuable reports about fuel consumption and driver safety. Nowadays, dash cams have become more of a norm in people’s cars. After all, it does offer additional security to your vehicle and driving experience. 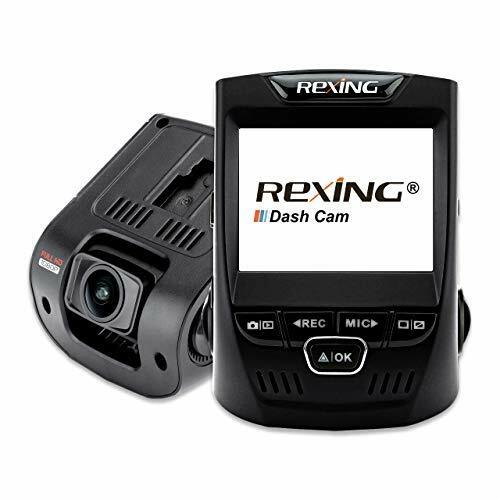 The Rexing V1 has a Sony Exmor IMX23 image sensor that allows for full HD recordings. It also has a wide dynamic range for better performance. Its 170 Degree Ultra Wide Angle Lens has 6-layers of glass lens that can open up to catch a sweeping view of the area. Plus, it supports high-endurance micro SD cards with up to 256GB of memory. Well, we know that not all cars have high-tech stereos. There’s a chance that your ride is still sporting a stereo that only has a cassette player. Your modern frustrations now have a solution with this cassette adapter. 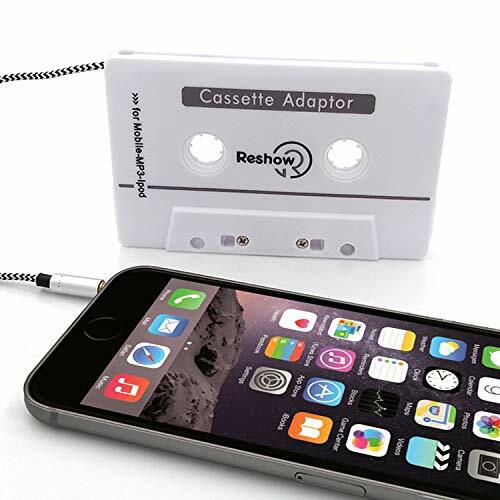 All you have to do is insert the adapter into your cassette deck and connect it to your smartphone. This adapter can easily convert your cassette deck into an MP3 player. With a universal 3.5mm jack, you can connect your smartphone, tablet, and even laptop. With today’s technology and society’s dependence on gadgets, you’d probably need to charge multiples at the same time. Good thing this charger can charge up to 5 devices simultaneously. It has two 2.4A USB ports and a Type C USB Port for rapid charging. It also has two 12V/24V cigarette lighter sockets that total to about 80W of power. This device has an independent on/off switch so that you can save energy and provide protection to all your devices. Its yellow LED display helps monitor your car battery voltage as well. 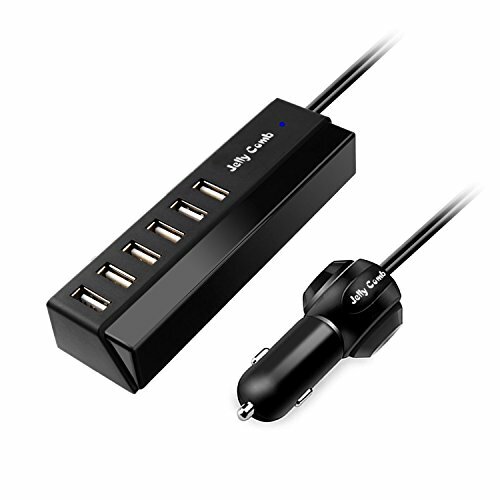 Another car charger that you might want to check out is this one from Jelly Comb. You can simultaneously charge up to 6 devices with the 65W 13A ports at the maximum charging speeds. It has exclusive SI Technology that recognizes whatever device you plug in and distributes the correct amount of maximum charging current for it. This charger is made with industry-grade materials as well as premium circuitry to provide you with powerful and reliable performance. Plus, it’s back seat friendly since its cord reaches up to 4.6 feet so everyone can enjoy their charging experience. Most people, especially those who are working, prefer to have a cup of coffee before they start their day. However, time is something you’re probably always lacking in. Now, you can brew your coffee on the go with the Handpresso. 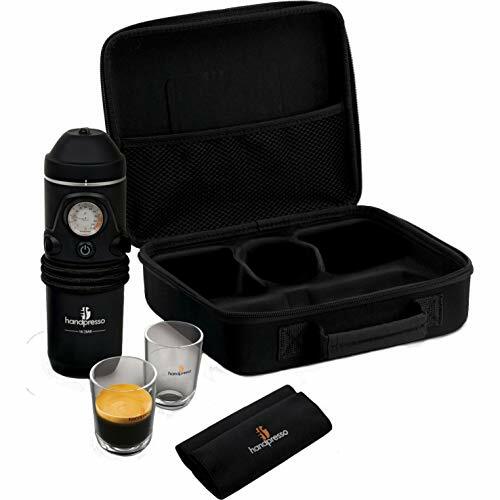 This set features the Handpresso Auto Hybrid Espresso Machine, two unbreakable espresso cups, and a Handpresso towel. 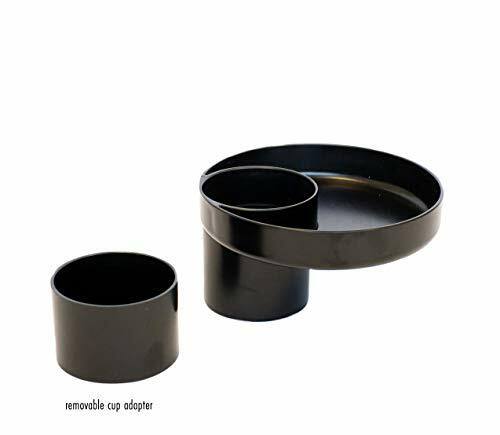 Everything you need for you to enjoy your cup of coffee can be put in your car so that you consume less time conveniently. If you have a pet, you probably love taking them on adventures. Unfortunately, a seat belt isn’t really designed for the shape of your dog and might be a safety hazard for him. But that doesn’t mean you should leave the security of your beloved pets to chance. 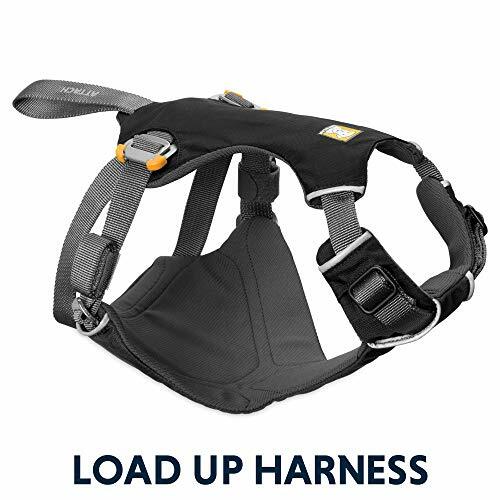 The vehicle restraint harness is specially designed for dog use and can keep your pet secure during any sudden movements while driving. It is built with strength-rated hardware and components that have been effectively tested in crash tests. Road trips are fun but sleeping in your car can be an uncomfortable experience. That’s why one of the best accessories for your car interior is an inflatable mattress. This one from HIRALIY is specially designed to fit the backseat of most cars and SUVs. It is made from 0.6mm of comfortable flocking top and waterproof material. That means it’s also highly durable. 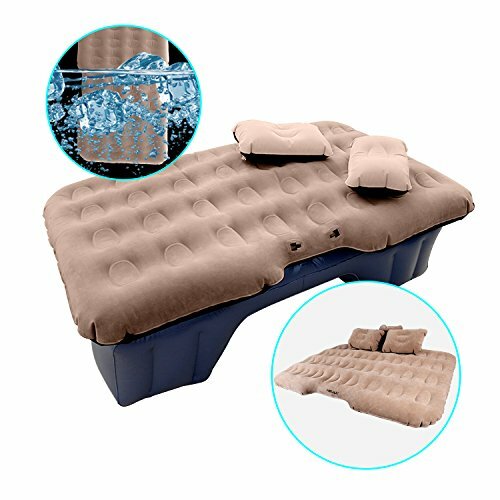 It comes with a portable electric pump, so you don’t need to worry about how to inflate and deflate your airbed before and after use quickly. Having a baby in the backseat is nerve-wracking in itself. But the fact that you can barely see what your child is doing can double the worry. Don’t fret! 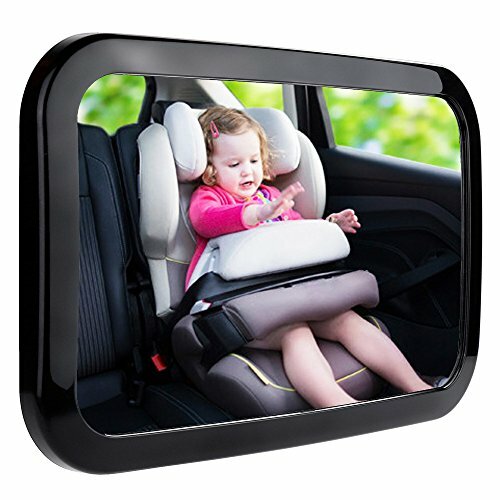 The Zacro Mirror allows parents to see their baby’s every move during the drive. You can check how well he’s doing, physically and emotionally. The mirror is made from eco-friendly acrylic materials that are shatterproof to keep your baby safe and secure. It also has a 360-degree adjustability feature with a scientific-wide angle so that your vision will never be blocked. Have you ever misplaced your car keys? It’s highly possible that you have. Now you don’t ever need to panic about losing them ever again. All you need to do is clip your keys to the Tile Mate. 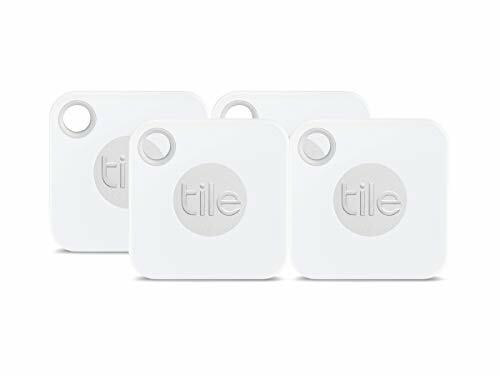 The Tile Mate allows you to use your smartphone to make your Tile Mate ring whenever it’s out of sight. You can also locate your phone if a Tile Mate is attached to it. The Active Community Find also helps other users track your phones if you ever need help. Aside from a charger, it might also be cool to have one that can double as an air purifier. If you have asthma and allergies, a gadget like this will make your car rides all the more comfortable. It can eliminate powerful odors as well as deodorize smoke mold, food, and even human odor. It helps kill bacteria and viruses by creating safe levels of ozone. 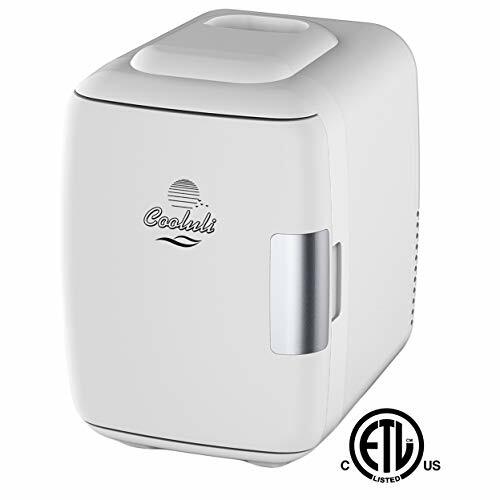 This air purifier can eliminate allergy triggers through its active HEPA filter. It even has a quick charge USB 3.0 port for your smartphones and tablets. Another excellent car interior accessory to have on road trips is a mini fridge. You never know when you’ll need a warm or cold drink. This fridge is super convenient and lightweight at only 4 pounds. You can store different types of things inside this awesome 4-Liter fridge, like snacks, drinks, beer, and even your meds. This fridge is made from a unique semiconductor that is both energy-efficient and environmentally-friendly. Plus, it doesn’t make any annoying noises so you can enjoy an ultra-quiet ride. Long drives or even early morning drives can make you hungry. A snack on the road is perfectly acceptable. But it’s not always easy to eat while you drive. The My Travel Tray keeps everything you need well within your reach. It fits securely in your cup holder so that you can grab things quickly. It even has a removable cup adapter for cup holders who have bigger holes than usual. This tray is dishwasher-safe, so you know you don’t need to worry about cleaning it up. It is also made to be free from harmful materials like BPA, phthalate, and PVC. It helps to have a backseat organizer, especially if you have children regularly riding your car. After all, they need a lot of different things throughout the day like extra clothes, a water jug, and a few activity books. 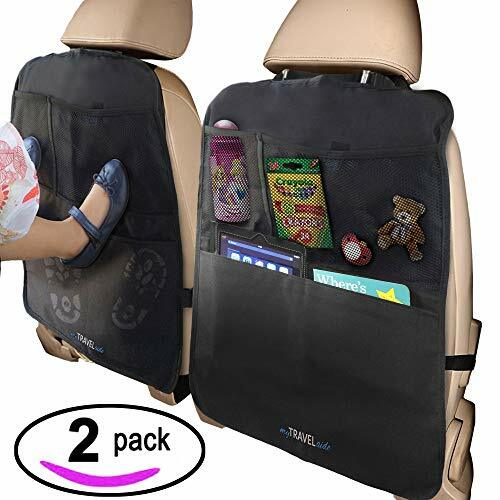 What makes this organizer great is that it also doubles as a kick mat so that you can keep your front seats clean and unscratched. It’s always smart to have spare auto parts and an auto tool kit inside the trunk of your car. But without a proper organizer, they’d probably clunking in the trunk every time you hit a bump or make a turn. 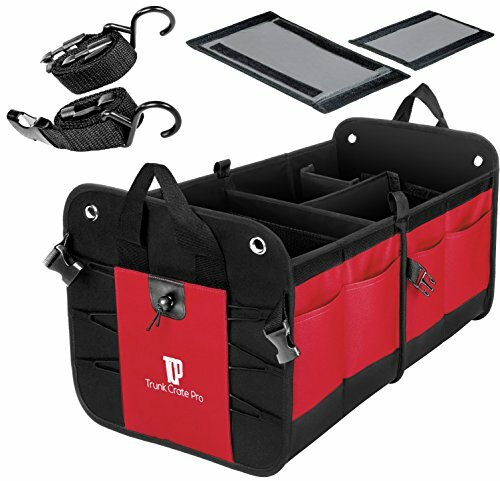 This super durable trunk organizer is the best of the best when it comes to organizers. It is an eco-friendly choice made from heavy-duty material such as Oxford Polyester. It is built to withstand wear and tear and is even resistant to water and abrasion. However vigilant you are with the dirt that comes into contact with the interior of your car, there’s just no way of getting rid of all of them. That’s why a car vacuum is essential. This one, in fact, can help you clean your car like a pro. It has a strong suction because of its 106W motor and powerful metal turbine. It can even reach more spaces because of its 16ft power cord. 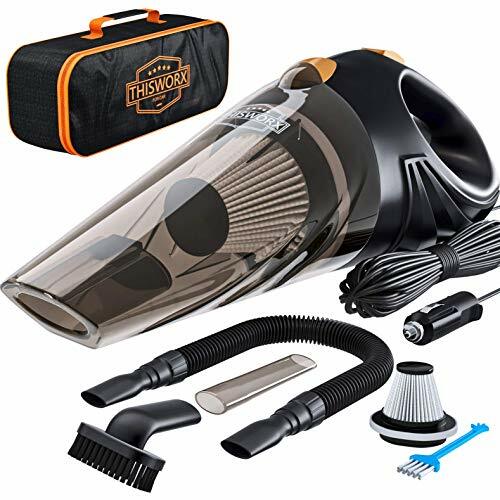 Plus, this vacuum features an ergonomic design. It has a transparent trash container that lets you know when it’s full. 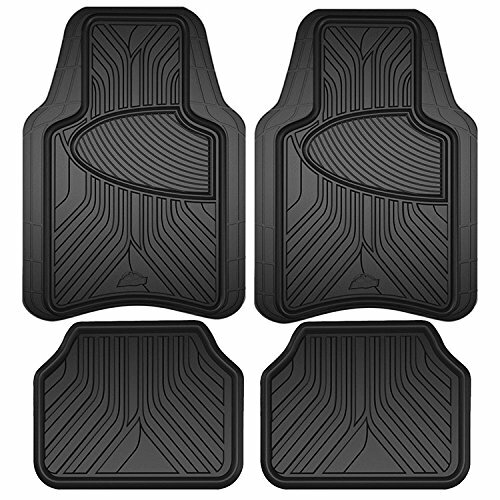 When it comes to floor mats, you would especially want to buy those that are heavy duty. After all, they can easily take care of the dirt your shoes might bring when you get inside your car. This set is made from black rubber that is impenetrable from dirt whatever the climate you’re in. It also features a raised heel pad that makes it resist wear and tear easier. Plus, it has a universal trim that makes it fit in almost all vehicles. Sitting in your car for hours can be tiring and painful, no matter how nice your car seat is. 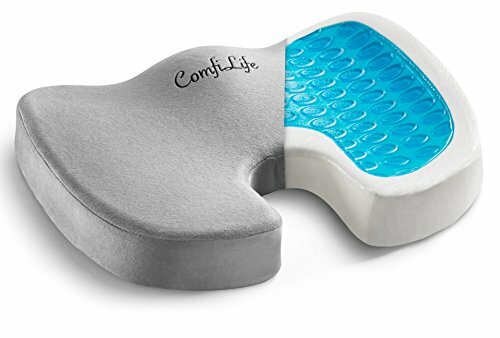 With ComfiLife, you can get additional comfort. It is made from gel memory foam and has a non-slip rubber bottom for convenient use. It also comes in a plush velour cover made for easy washing. Best of all is that it alleviates pressure because of its ergonomic design. It effectively supports your tailbone for maximum comfort. It even provides lower back pain and Sciatica relief.